It had been 21 years since the Viewmont High boys soccer team had claimed a state championship, but that all changed in 2016. No. 14 in our TOSH Top 30 stories of the year goes to that 5A state champion-winning Vikings team. It was a long time in coming for the boys soccer program at Viewmont High, for its current players and its alumni. After waiting 21 years to get back into the winner’s circle, the Vikings savored the moment as they celebrated the 2016 state title at Juan Diego Catholic High School. It came at the close of a season in which Viewmont didn’t even win its own league championship, as the Vikings were second to Davis in Region 2. Coming in as a No. 2 seed made the run to the top even more difficult for this year’s squad. Viewmont had to earn everything it got during the postseason, which began with back-to-back 2-1 wins (over Pleasant Grove and Mountain Crest). 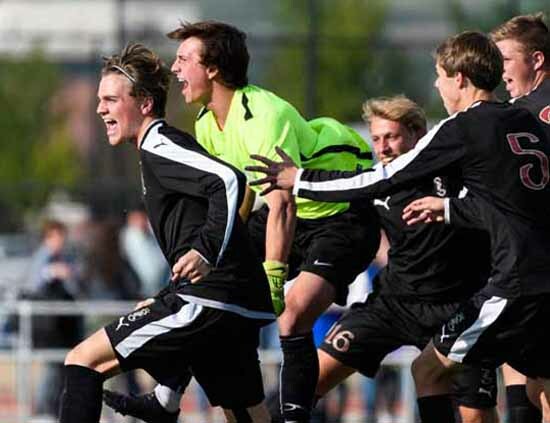 The run nearly came to an early end in the state semifinal round when the Vikings fell behind Lone Peak 1-0 during the first half and neared the 70-minute mark still facing that deficit. Then came a Lone Peak foul inside the penalty area that sent Salt Lake Tribune player of the year Drake Cook to the 12-yard spot for a penalty kick. The junior striker buried the ball in the back of the net for the equalizer that saved Viewmont’s season. After 20 minutes of scoreless extra time, the Vikings took the penalty kick shootout 4-2 to earn the right to play for the title against Fremont. After the tight contests, they had faced along the way, the high-scoring wide-open finale had to be a relief, not that the increase in scoring made life any easier. The championship contest was level at 2-2 in the 63rd minute, when junior midfielder Marshall Johnson headed home a throw-in from Jarron Brown to put Viewmont on top to stay. As time ticked down in the closing seconds, Cook got free on a breakaway to provide a little icing on the cake and begin the Viking celebration. Cook was honored as the 5A MVP by The Deseret News in addition to his recognition by the Salt Lake Tribune as the state’s top player as he led Viewmont to a final record of 13-3-3 (6-3-3 in Region 2). 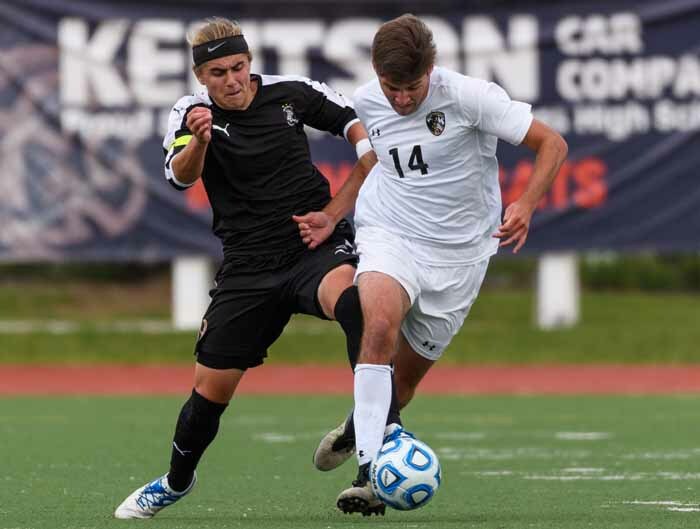 Johnson, senior defender Kason Larsen and junior goalkeeper Tyler Trump all received first-team all-state honors after the long-awaited championship campaign.